To win big in high-tech today you need to deploy enterprise grade software and avoid churn. Experimentation can facilitate adoption and ensure successful feature rollouts. What if you could empower all of your marketers to triple click through rates, increase revenue fivefold, and make customer experiences more enjoyable? Experimentation lets you do just this. Atlassian started with a single testing hero. Today they have multiple teams running experiments on everything from product bundling to landing page copy. Learn how they matured their testing program. Personalize the messaging and offers to your most important prospects and customers. Launch new features knowing customers will love them. Achieve early adoption and solidify user base across the enterprise. From headline testing to tweaking your call to action — experimentation drives conversion. Reveal problem areas faster and discover solutions that convert leads to opportunities. Test marketing copy in your ads, emails, call centers, or even direct mail to drive user acquisition and retargeting. Any successful B2B marketing team needs to be constantly innovating in order to meet its targets—with little to no increase in resources or budget. How can you build a program that will enable you to consistently do more with less? 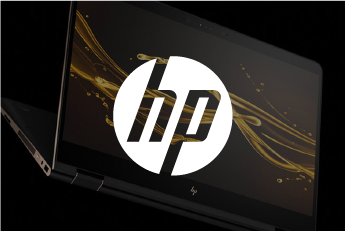 Driving Innovation at HP through Experimentation Delivers a $21M Increase in Revenue. HP has invested in creating an entire program around experimentation. As a result of their focus on experimentation, they’ve been able to run almost 500 campaigns and have driven an incremental $21 million in revenue with Optimizely. Having data to back up our ideas gives us a voice to surface our views up to a higher-up level. Being able to say that you improved sign ups by ‘X’ percentage, because of what you did, that is a powerful thing.